Questions about the session, start time, preproduction, etc., will be handled by your engineer. 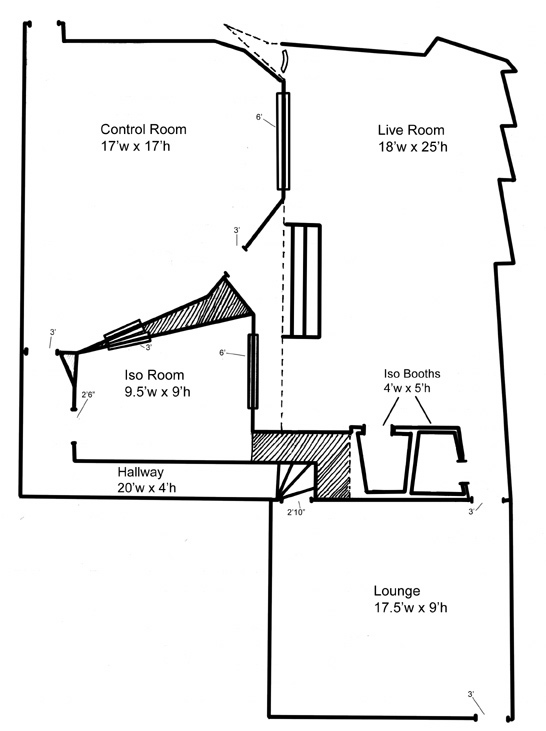 Here’s a floor plan of the Tiny Telephone A room. We have coffee provided by Ritual Coffee Roasters, as well as a wonderful assortment of over a dozen loose leaf teas. There are unlimited options for excellent food in the area, including many who will deliver. 24th Street is one of the greatest food corridors in the world. Making records is not easy; I’ve been there and I want to make your experience here productive and meaningful. If you have any problems/concerns please contact me directly. Thanks.